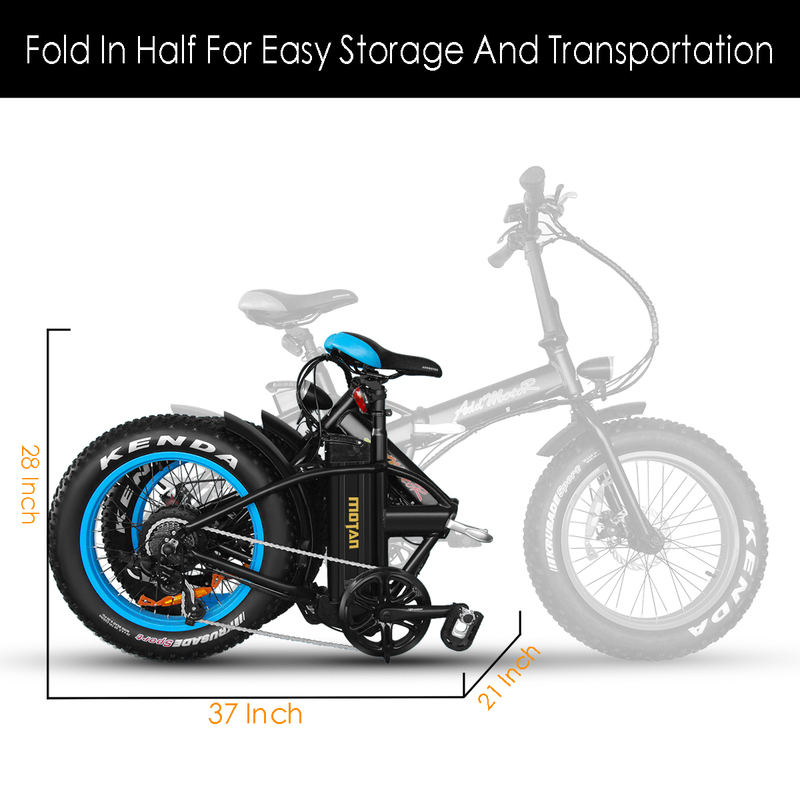 * STRONG FOLDING FRAME DESIGN. 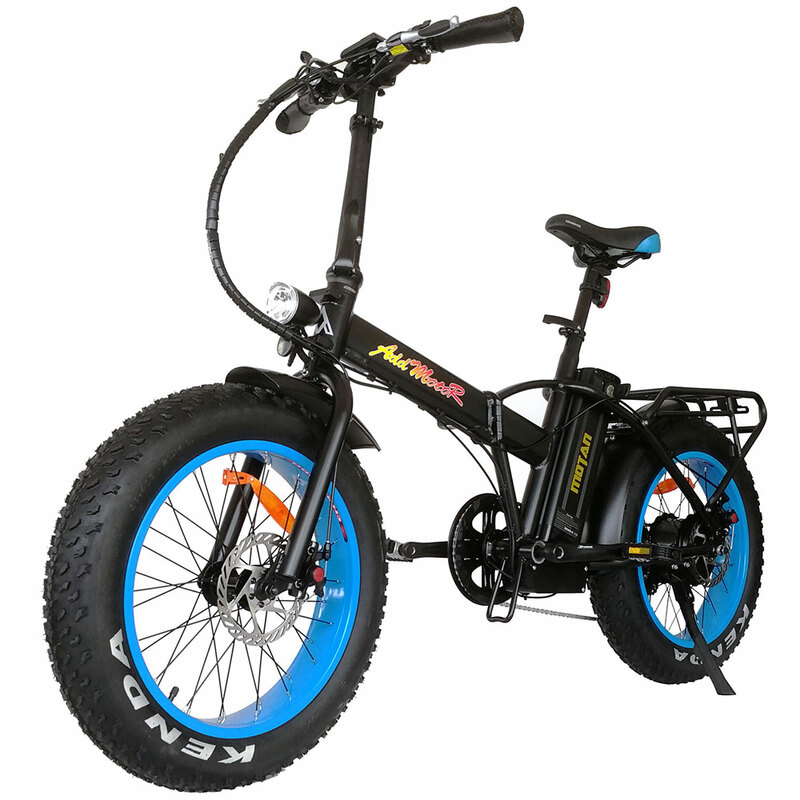 The bike is in a new version as the bike tube is thicker 1/2 than before meaning the M-150 folding bike strong and stable enough to hit the trail,portably to store and transport the bike in your car or other conveyances,saving much spaces and allowing portability. And it can carry a load of 300lb quite easily. * POWERFUL MOTOR. 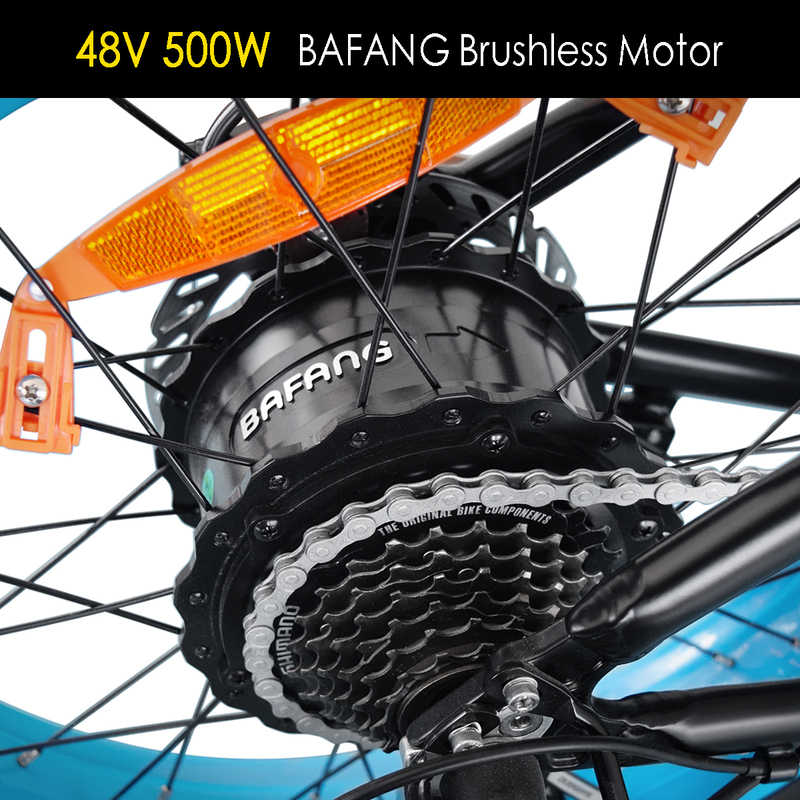 MOTAN M-150 comes with a hub brushless mounted motor rated at 500W,special design for snow, beach, hard and uneven, swamp and damp, even all terrains. You don't need to worry about your bike breaking down on hard terrain. This piece of carefully conceived technological ascension will leave you baffled. With the 500W motor you can reach up to 23 miles per hour on throttle mode,or move along even faster using the pedal to assist you to get the power to conquer the rough terrain. * LONG LASTING LITHIUM BATTERY. 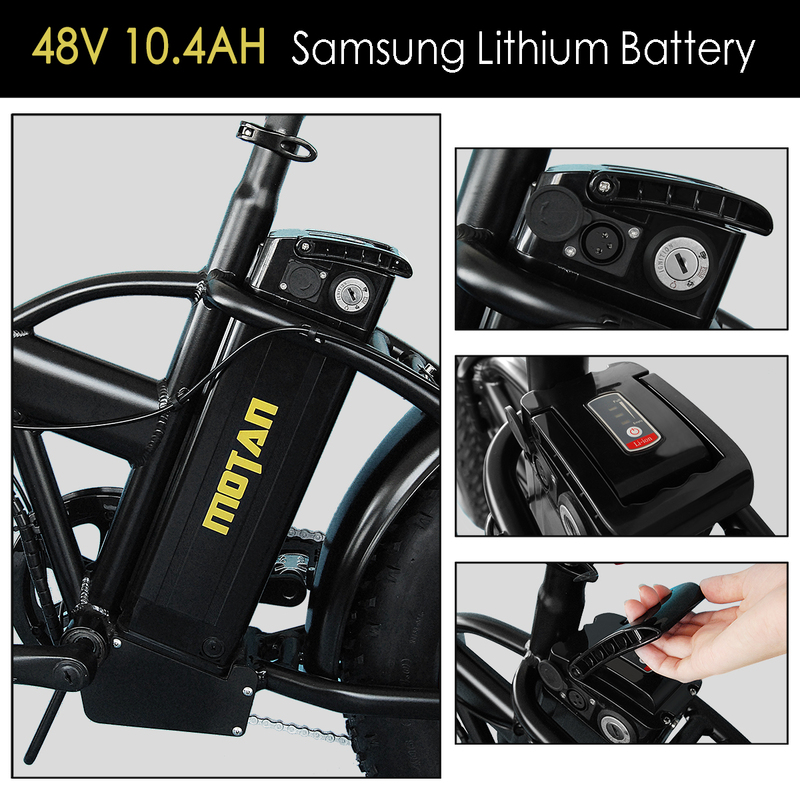 The bike is equipped with a high capacity 10.4AH lithium battery and it's life will never disappoint as a single charge in a span of 4-6 hours can last for distances up 45-55 miles using the level one pedal assist, charging time depends on the current status of the battery. * USE ELECTRIC POWER OR PEDAL ASSIST OR MUSCLE POWER TO MOVE ALONG. The M-150 features three modes of muscle power,electrical pedal assist or full electrical operation to allow you to cruise effortlessly or help you get to a higher top speed, or even climb mountain hills more easily. * ADDMOTOR 5 INCH LCD AUTOMATIC LIGHR SCREEN DISPLAY. A 5 inches LCD display is mounted on the front tube which comes with a USB outlet to charge your phone or electronic device on the go.The screen showing the parameter of ride distance,speed,battery status,biking mode to monitor the healthy of the bike at any time. * ADJUSTABLE HANDLEBAR AND SADDLE. Both the black lithium handlebar front tube and the pretty comfortable saddle can be adjusted according to the height. Appropriate height for this bike is 5'2''-6'6''. Motan M150 will be the perfect all-rounder to complete your life. This bike with its powerful 500 Watt motor and the long lasting Battery make sure that you will have plenty of fun riding it every day. No matter what you intend to use it for. The ride to work, a weekend trip or a ride through the country side with many uneven are no problem for the M150. Even the annual seasons cannot stop it. It is suitable for summer and winter alike. Many bikes can’t be ridden in snow in winter or on sand on the beach. We tried to design a bike which meets all basic costumer needs such as handiness, durability longevity and a variety of color choices. Give it a try. It's the best!